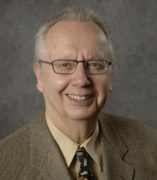 Professor George Beam‘s recent research includes an assessment of survey research. His book, The Problem with Survey Research (Transaction Publishers, 2012), makes a case against survey research that, among other things, identifies the innate deficiencies of surveys, polls, interviewing, and other forms of asking. In the concluding section, the greater use of observation, experimentation, logical/predictive models, and other, non-asking methods of data collection and research designs is advocated. A second research interest is citizen effectiveness. A book, tentatively titled, Citizenship in the Electronic Age, is in the works. The declining ability of nation states and traditional types of citizen action (e.g., voting, demonstrations) to effectively deal with the problems and issues of the contemporary situation (e.g., environmental destruction) is described. A new type of citizenship is required; viz., action within and by electronic, often global, issue networks.